A disaster may happen anytime and anywhere. Its root causes may vary from a single drive array failure to infrastructure destruction in an entire geographic region. Its consequences can paralyze a single mission-critical server or make several data centers unavailable. In most cases you cannot predict a disaster, but you can prepare for it to minimize damage to your business and recover your critical data. When preparing for disaster recovery, you need to consider the worst scenario. In other words, you should be able to recover from various types of disasters with the same efficiency. But prior to preparation for recovery, let's consider the milestones. If a disaster strikes, how long would it take to recover your business data? How would this translate into your future business? How to continue operation after a disaster recovery? What is the cost of your business – critical application or host downtime? Critical Business Processes: Identify what processes are vital to your company to continue its business and how long you can survive without them. Prioritize the applications you use and define the most urgent ones for restoration. Data backup and its schedule: Identify the data that you need to protect and develop a backup schedule. Strategy: Determine the data recovery techniques applicable for your business. Hardware configuration: Determine the ways to protect the configuration of a business-critical host or other hardware. Data location: Define what data can be stored on-site and off-site and how will you store it. Recovery Time Objective (RTO): Define time limits necessary to detect a failure, handle and fix a problem. Recovery Point Objective (RPO): Define the amount of data that you may lose. Staff training: Define which training is required so that server operators and administrators could respond quickly and effectively if a disaster strikes. How will you train your company staff to quickly react and efficiently recover all problems during and after a disaster? Define how often these trainings should happen. When preparing for disaster recovery, you need to rely on proper technology. Your company's technologies should always be updated to meet a challenge. Don't fall into thinking that legacy software could still be able to restore all your data in time. Test and refine your disaster recovery plan to understand how it will be executed. Enhance your recovery techniques and always "keep your axe sharp". After you recover your data, you still need to cooperate with your clients, deliver services, receive payments, etc. So, even in a disaster situation your clients need to do everything they did yesterday. And you should avoid the risk to lose them. Never forget about the human factor. Disaster is always a stressful situation. This means that your company staff and your clients will be stressed. People might experience anger, fear, or frustration. In other words, in a disaster situation there should be someone who can control the situation. Having a well – developed disaster recovery plan will help them handle problems more efficiently. Your company should organize disaster recovery trainings to prepare staff and explain the duties of each individual in a disaster situation. Replay and test your Disaster Recovery Plan periodically. Analyze what is wrong, what is right and what could be even better. 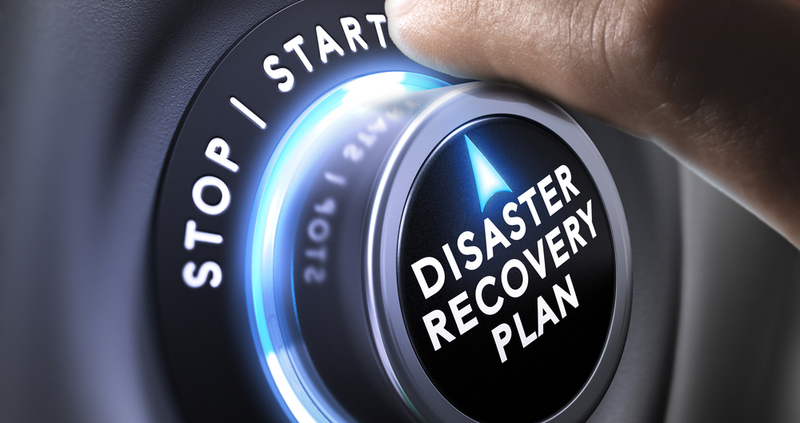 A Disaster Recovery Plan is a very important part of Business Continuity. Not having a Disaster Recovery Plan can put your company and your customers at a serious financial risk and reputation loss. Your success in disaster recovery is your thorough and timely preparation to meeting this challenge. Disaster Recovery Plan should be well documented and constantly revised. Your timely investments to hardware upgrade make it reliable and capable to resist a disaster. And, of course, training of your company’s personnel is very important to avoid panic and frustration.